Father&Child know that there are many stages in a dads evolution that he could do with information or a course. 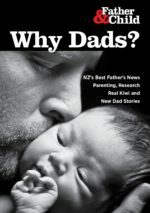 Our expecting dads info is largely in our Why Dads? Booklets -hear about his and her hormones, see how dads can help in pregnancy ! Certain courses rely on the dads living with their children – If dads are not with their children’s mother, or not even seeing their children, they can still try our correspondence courses, they may also prefer to read and study independently. Our Discovering Fatherhood Correspondence Parenting Programme has 10-modules from Baby brain development, learning through play and toddler safety, through to choosing a daycare and challenging teenagers. Every module comes with reading material and a set of questions, all answers are checked and feedback is given. The material is focused on information about children’s development as well as parenting techniques for the different ages. Modules 1-5 apply to new babies and toddlers, We provide a certificate for five or at the end. The Discovering Fatherhood Programme is free and can be printed and posted or emailed/phoned. Understanding causes, what we can actually do about managing our anger. Hundreds of dads have given glowing feedback for these courses. beware there may be a waiting list of we are behind and cant keep up. plus the new Reporting Child Abuse changes to the crimes act 2012.
that have couples attending, are more effective and enable enduring change. Courses like Triple-P, Incredible Years and Mellow Parenting, when provided to both parents, work really well.